Lionel Messi Father Jorge sentenced to 21 months in jail for 3 Counts of Tax fraud :- It’s was just few weeks back, when Argentina lost the final against the Chile for the successive time in two years and soon after that loss, Messi had stunned the World by announcing his retirement from the International Football. This news stunned the whole sporting world and the Messi’s fan started screaming for the return of Messi, this retirement has gained a lot of headlines. Now, Messi is again in news and guys , do not go on the wrong track by assuming that Messi has denied his retirement, then you all are wrong because the whole story is not like that. This time, Messi who is the biggest superstar of Football has grabbed the headlined for the not paying his taxes and for three crimes related to taxes. Yes, I know that you are shocked but this is the latest news about Messi. On Wednesday, Spanish Court fined the Messi with 2 Million Euros and sentenced him to 21 years of Prison for three taxes crimes that Messi has done. 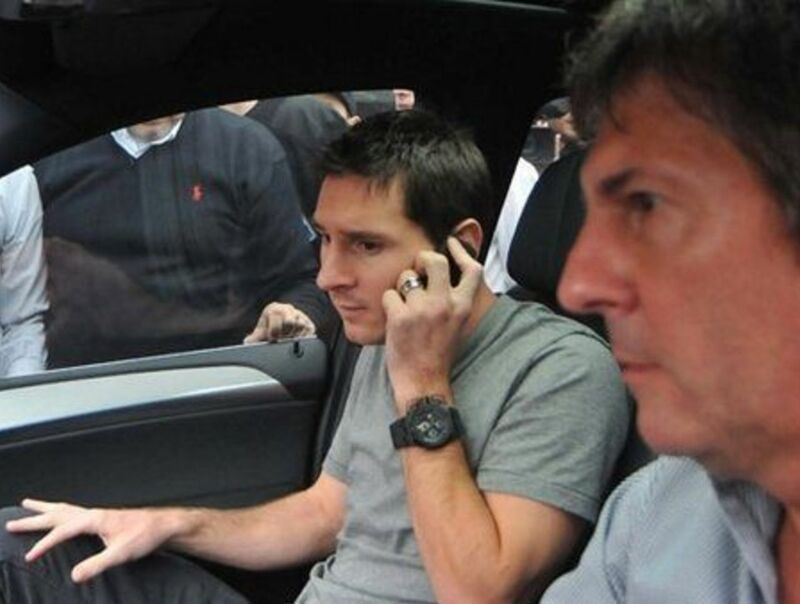 Today, Messi along with his father Jorge Messi was in the Supreme court for the final verdict of the crime. The Spanish Supreme court has also sentenced the same verdict for both Messi and even for his father Jorge Messi. Although, both father and son still have the chance to appeal against this verdict in the supreme court. It is also believed that Messi’s lawyer will submit an appeal in the Supreme court against this verdict. Meanwhile, Barcelona’s Superstar Messi told the media that he was completely unaware of all this issue and he and his father are innocent. The whole world is completely stunned by this news and even the other sporting superstar started tweeting about this matter. Former England Cricket team captain Micahel Vaughan tweeted that ” Messi is the biggest superstar and he can even avoid this matter”. Well, it will be interesting to see how Barcelona officials will react to this matter as they have always supported Lionel Messi in his entire career.